Young Asian Traveler Women And Luggage At Airport Terminal Standing At The Airport Holding Suitcase And Walking In International Airport. Fotos, Retratos, Imágenes Y Fotografía De Archivo Libres De Derecho. Image 115915643. 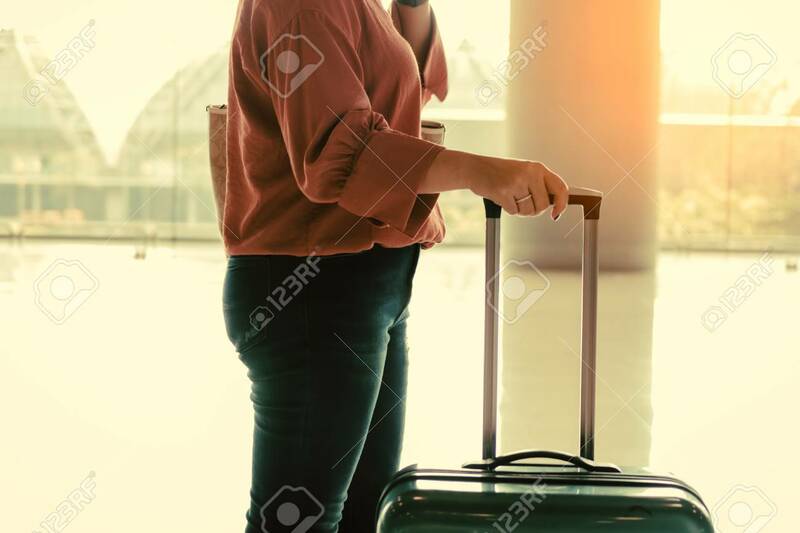 Foto de archivo - Young asian traveler women and luggage at airport terminal standing at the airport holding suitcase and walking in international airport. Young asian traveler women and luggage at airport terminal standing at the airport holding suitcase and walking in international airport.